Tell us about your dream Scotland Tour. We will tie you up with 3 top Scotland travel specialists who’ll compete to plan your custom trip in the best way possible. From rugged mountain peaks and glistening lochs to wild marshlands shrouded in morning mist, Scotland has no shortage of breath-taking views. Spreading across the northern third of Great Britain, Scotland attracts visitors in with its fascinating history, rich culture, and the sparkling waters of its many lochs. Scotland is home to numerous array of unique castles, a host of world-class art and science museums, and some of the largest wilderness areas in Western Europe. Regardless of the country’s relatively small size, exploring it completely would take most people an entire lifetime! At first glance, the Scottish landscape is harsh: foreboding fortresses atop hills and cliffs, the desolate moors . . . But spend some time here and you’ll quickly realize Scotland has its own unique beauty: breathtaking highlands just made for hiking and strolling, craggy coastlines, monuments that are proud reminders of long-ago battles, and blue lakes and rivers just made for fishing. Scotland is a land of legends and romance, from Robert the Bruce and Macbeth to lake monsters and the tragic Mary Queen of Scots. And, yes, real men do wear skirts here. - From the elegant Royal Mile to the New Town with its ‘Gaelic gourmet’ foods and fabulous haute-couture, Edinburgh is a captivating cosmopolitan city where culture and history inhabit every corner. 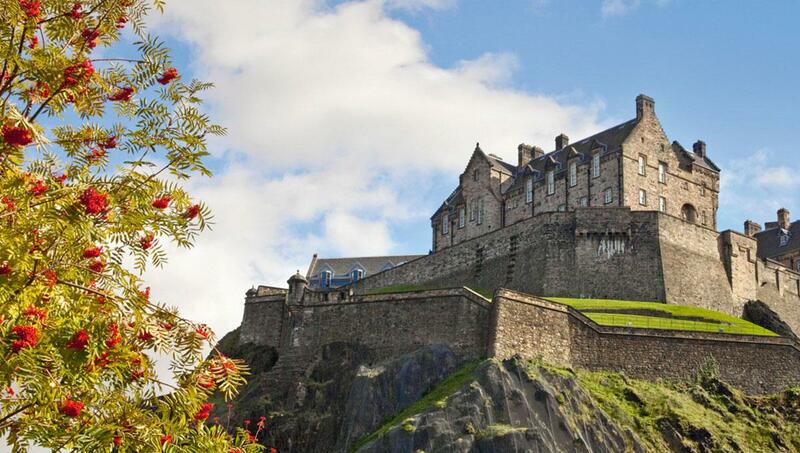 Walk the ramparts of stately Edinburgh Castle, immerse yourself in Scotland’s best-known export at the ‘Scotch Whisky Experience’, or climb nearby Calton Hill to enjoy incredible views over the city amid an eclectic jumble of historic buildings – including a replica Greek acropolis and a 19th-century observatory. - Known for centuries as the “Second City of the British Empire”, Glasgow is the largest city in Scotland and a stunning example of Victorian grandeur. Check out the sights at Royal Exchange Square (including a traffic-cone topped statue of the Duke of Wellington that epitomizes the city’s irreverent wit), marvel at the ornate City Chambers, or take in a soccer match between Rangers and Celtic – an ancient rivalry that has few parallels in the sporting world. - Few places can boast the elemental, otherworldly majesty of the islands of Scotland, where people live much as they have for centuries and where the relentless weather has created some of the most stunning and surreal scenery imaginable. From the indescribable geological formations on the Isle of Skye to the mysterious standing stones that litter the Isle of Mull, to the phenomenal birdlife and end-of-the-world seascapes of the Outer Hebrides – this is a part of Scotland that no visitor ever forgets. - The central part of Scotland is filled with reminders of the country’s war of independence against the British, led by the near-mythical figure of Sir William Wallace. Stirling boasts the immense and spectacular Stirling Castle and the towering Wallace Monument – where you can catch a first-hand look at the alleged long-sword of the revolutionary nobleman – while Falkirk offers an impressive view into the past and future; it was also designated Scotland’s most beautiful town in 2011. - No trip to Scotland would be complete without a foray into the Highlands, where rolling, heather-filled moorlands give way to towering peaks, verdant valleys, and plunging, peat-filled lochs. 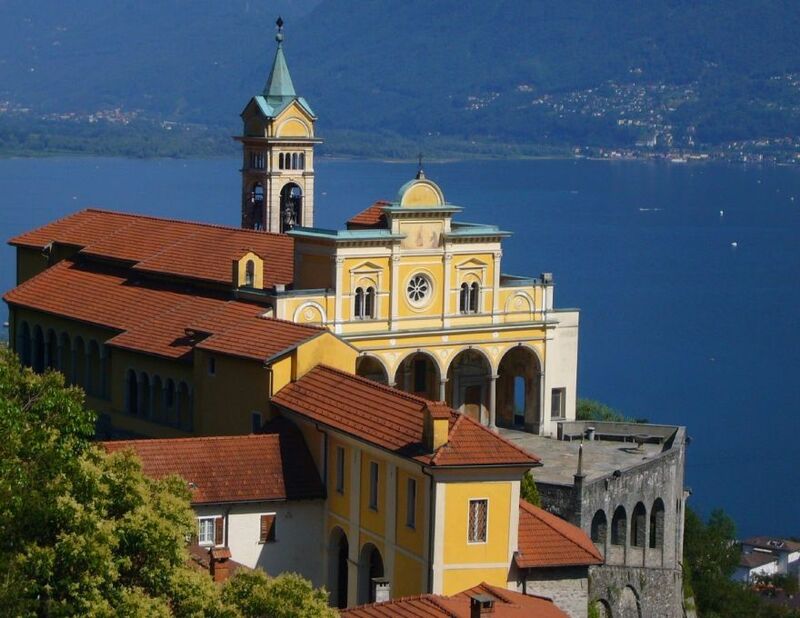 Here, you can hike on the stirring slopes of Ben Nevis, the tallest mountain in Britain, explore some of the country’s best-preserved castles, or walk the bonnie banks of beautiful Loch Lomond – surrounded by the poetic region known as The Trossachs. - Experience the sacred grounds of the birthplace of golf, where the fairways run wide and wild, the wind whips devilishly off the sea, and the bunkers lie yards below your feet. Navigate the unique layout of iconic Muirfield, take in the gorgeous scenery that surrounds Turnberry, whether the notorious 18th hole at Carnoustie or play the Old Course at St. Andrew’s – where the game was invented nearly 600 years ago. With more than 550 courses on offer, from championship links to ancient heathland courses, sparkling island gems to treacherous cliff-top challenges, it’s no surprise that so many serious golfers rate Scotland as the ultimate holiday destination. - Wander the length of Scotland in pursuit of the world’s finest single malt whiskeys, winding your way from the densely populated Speyside region in the northeast to the remote reaches of the western islands. Learn all about the production methods of this unique spirit, and sample the offerings from some of the best-known whisky makers on Earth: from the smoky smoothness of The Macallan, to the characterful peatiness of Lagavulin and Laphroaig, to the spicy-sweet profile of Talisker – named the “Best Single Malt in the World” in 2007. 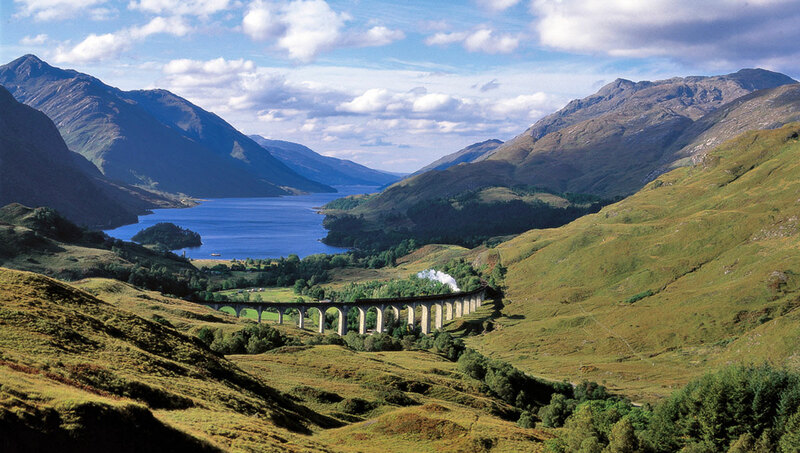 - Travel across the country in supreme luxury on board The Royal Scotsman, where the breathtaking countryside is perfectly highlighted by the amazing offerings of this world-class train. Enjoy a delicious breakfast before setting out to explore a castle, return for lunch and a perfectly prepared cocktail before hitting a distillery – or simply rest in the opulence of your wood-paneled stateroom, watching the stunning Highland countryside roll by. This nine-coach train carries just 36 passengers aboard what has accurately been described as “a five-star Scottish country house on wheels”. 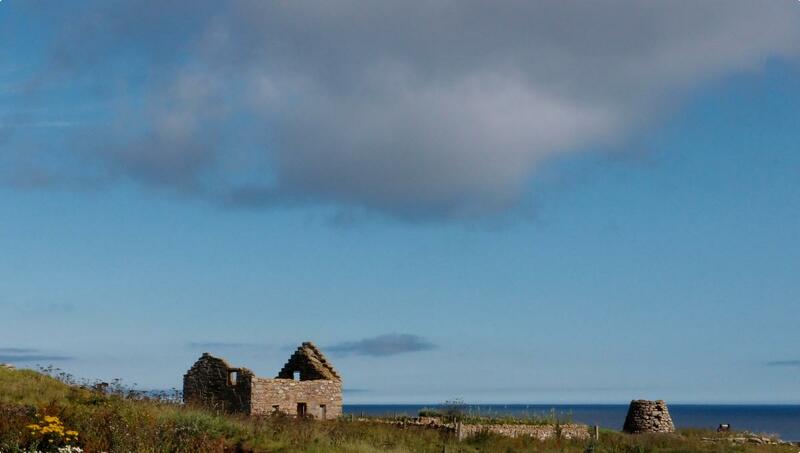 - Walk the steps of some of Scotland’s most famous literary sons and daughters, getting a glimpse of the life and landscapes that inspired some of the greatest stories in the Western canon. Start at the Writer's Museum in the heart of Edinburgh, the world’s first UNESCO City of Literature, before turning to Sir Walter Scott’s former home at Abbotsford House. 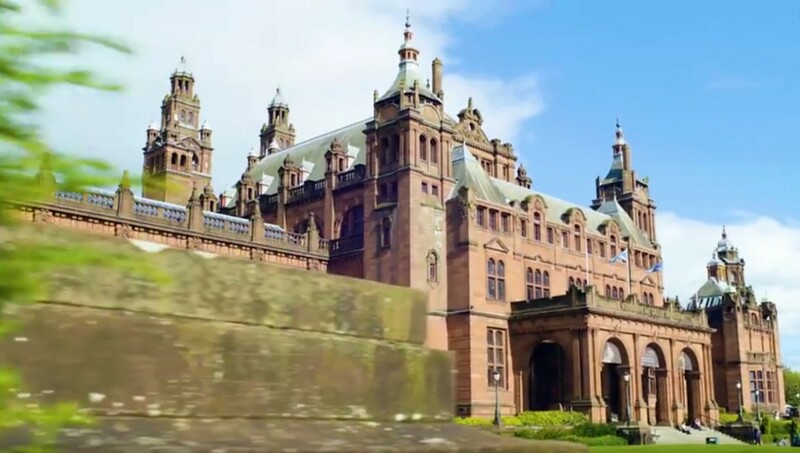 Or begin out west in the stomping grounds of Robert Burns, Scotland’s favorite poet, before visiting the real-world settings of Shakespeare’s Macbeth – from the magnificent Glamis Castle near Perth to Inverness Castle deep in the Highlands. - Scotland has a long history of feisty inter-clan challenges, and each summer dozens of Scottish towns and villages host their own versions of the legendary Highland Games. These colorful celebrations feature everything from traditional “heavy athletics”, like hammer-throwing and caber-tossing, to Highland dancing, piping, running and cycling. Between late May and mid-September, there are some 60 Games across Scotland. Among the best known are the Braemar Gathering, patronized by the Queen on the first Saturday in September; the Cowal Gathering, the world’s biggest Highland Games, which takes place over the last weekend of August; and the Ceres Games, which has been held on the last Saturday in June every year since 1314. 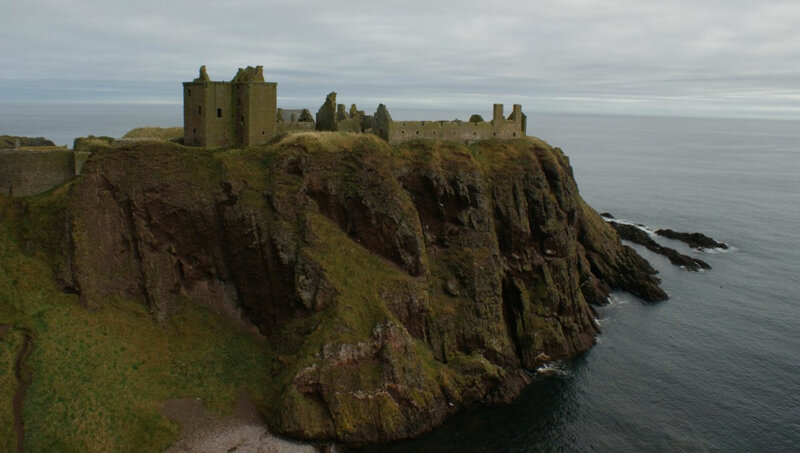 - Scotland is home to some of the oldest, best-preserved, and most singularly spectacular castles in the world – all gloriously unique and replete with the rich detail of their individual history. Gaze over the Firth of Forth from the towering heights of Stirling Castle, where Mary Queen of Scots was crowned in 1543, tour the magnificent Lochside ruins of Linlithgow Palace near Edinburgh, or revel in the stunning architecture of Balmoral Castle – built by Prince Albert for Queen Victoria in the mid-19th century, and still one of the royal family’s favorite retreats. For a particularly evocative trip back in time, few sights can beat the stunningly romantic 13th-century castle of Eilean Donan, which crowns a small island at the meeting-point of three lochs in the western Highlands. 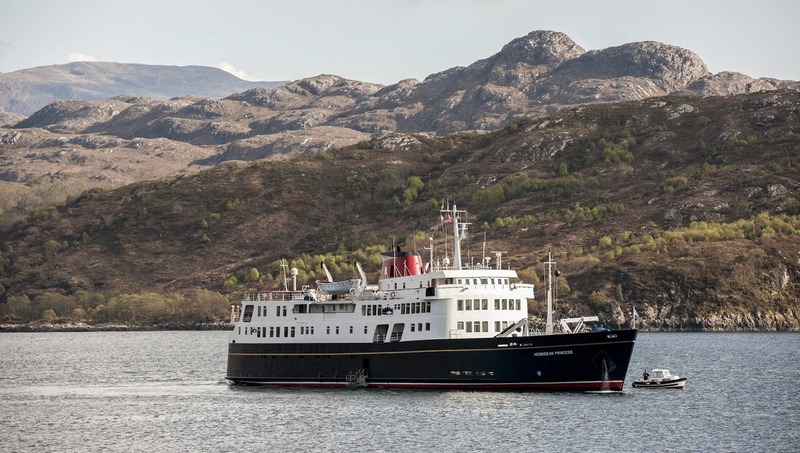 - Cruise the inky black waters of legendary Loch Ness, the largest loch by volume in the country and the mythical home of ‘Nessie’ – the world’s most famous sea-monster. Even those skeptics among you are sure to enjoy Loch Ness’s incomparable natural beauty, and you’ll certainly want to explore the ruins of nearby Urquhart Castle, once one of Scotland’s largest castles, which commands magnificent views over the loch and the surrounding hills of the Great Glen. Due to its proximity to the warmer airflows generated by the Gulf Stream, Scotland tends to have milder winters than most areas in similar latitudes. That said, it is worth remembering that the heart of Scotland lies just as far north as Stockholm, Moscow, and the Labrador Peninsula. The lowlands tend to be warmer throughout the year than the Highlands, and the west of Scotland is generally warmer and sunnier than the east. But even at its warmest, the country is characterized by low temperatures; high 70s constitute record highs on the coast, while Edinburgh and Glasgow are usually mid-60s in the ‘dog days’ of June and July. Early spring and summer are filled with Scots reveling in the sunshine and crisp breezes that run across the country, celebrating their unique country and culture in a variety of unforgettable ways. In August, Edinburgh hosts two of the country’s most prominent events: the three-week Edinburgh Fringe Festival, which combines a wide array of writing workshops, traditional music and dancing, a film festival, and numerous activities for children; and the Edinburgh Military Tattoo, a parade unlike any you’ve ever seen before, which winds through the ancient city until it passes through the gates of Edinburgh Castle. As part of the United Kingdom, Scotland is part of the European Union, so you don’t need any special visa or entrance requirements unless you’re planning to stay more than 90 days in the UK or you want to work there. You can apply for a visa at the nearest consulate, but most people who are considering an extended stay simply visit the nearby Republic of Ireland, which resets the 90-day grace period. Should you still wish to visit the consulate, however, be sure to call ahead to know what documents you’ll need to bring with you, as the visa application process can be convoluted. Traveling in Scotland is little different from traveling in the United States: all of the water is fine to drink, hospitals are excellent (and free even for tourists! ), foods are fresh and hygienically prepared, and there is little risk of communicable diseases. Some people might be put off British beef by recent scares about ‘mad cow disease’, but the British government has done an excellent job of identifying and quarantining potential problem farms, and the risk of eating beef in Scotland is no greater than that of eating beef in the US. Crime in Scotland is also quite low, particularly in the well-traveled tourist areas of the major cities. Violent crime is almost unheard of, and most negative interactions tourists might have are of the petty theft variety; on the whole, Scottish cities are as safe or safer than most of their American counterparts. Of course, caution and discretion are advised whenever you’re a visitor to a foreign country, and a few simple precautions will leave you essentially invulnerable to any negative experiences: travel in groups, keep to well-lit areas and major streets, don’t flash large amounts of cash or expensive jewelry, keep your passport and credit cards in a safe place (preferably separate from any bills you may be carrying), and don’t appear obviously lost or disoriented. Should you need help, Scots are very friendly, helpful people and, particularly in large cities, help desks and kiosks are relatively easy to find. Scotland uses the British pound, and through their bank notes look different than they do in England (or, for that matter, Northern Ireland), the value is the same. You can exchange money at currency exchange kiosks at transportation hubs like airports or train stations, but you generally get the best exchange rate if you withdraw money directly from an ATM. Many American banks have ‘sister branches’ in Scotland, and these will allow you to withdraw money without incurring a fee. Like most of Europe, restaurants include gratuities in the bill, so tipping is not necessary or particularly common – when tipping seems appropriate (that is if the service was exceptional or your circumstances were challenging for the staff), 15% of the bill’s total is more than acceptable. Many people report that speaking with Scots can be difficult: their accents are often thick and unfamiliar, and it takes some getting used to before you completely understand everything that’s said. For the most part, people in the service sector will recognize that you’re not a native, and refrain from some of the more colorful (and confusing) Scottish slang. 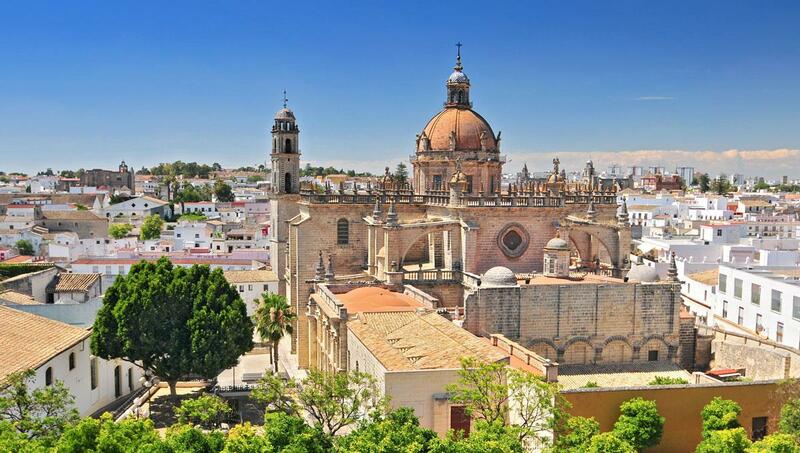 But having a good working knowledge of some of the more oft-used expressions will go a long way in helping you understand general conversation – and usage of their more popular slang terms will almost certainly endear you with the locals. Thus, a “bairn” is a child; “wee” means small or little; “brilliant” is a general interjection that is similar to the American “cool” or “awesome”; “haver” is silly nonsense, and is often employed as a verb (“Stop yer haverin’!”), and “Bonnie” means pretty or beautiful.